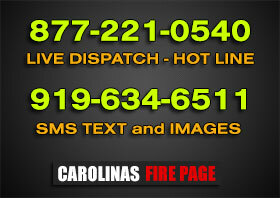 WAXHAW – Firefighters have been at the scene of a house fire in Waxhaw for several hours Thursday morning. GASTONIA – The Gastonia Fire Department responded to this house fire on Arthur Drive at 2:30 on Monday morning, November 12th. GASTON COUNTY – Firefighters from Crowder’s Mountain Fire and Rescue, Union Road Volunteer Fire Department, and personnel from Gaston Emergency Medical Services responded to a vehicle and brush fire on York Highway near Robinson Road at 15:20 hours on Thursday November 22nd. DAVIDSON COUNTY – Crews are continuing work to contain a fire that started on Bald Mountain. NASH COUNTY – Nash County 911 received a call from a passerby of a structure fire at 5584 Boulden Road, Nashville in Nash County on November 6 at approximately 11:50 hours. IREDELL COUNTY – On November 13th at 19:31 hours, South Iredell Fire Department was dispatched to a reported structure fire at 154 Kistler Farm Road in Mooresville. Additional photos added. COLUMBUS COUNTY – It’s nothing that some repositioning of antennas can’t fix.